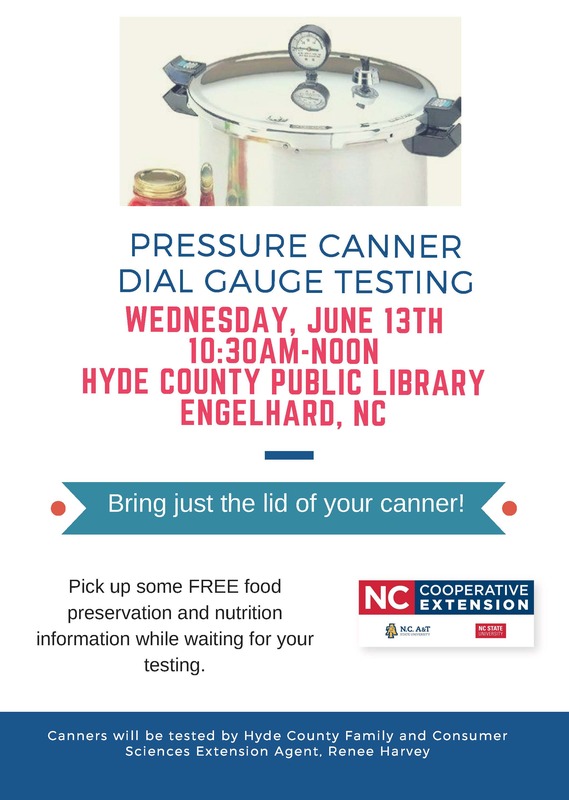 Cooperative Extension will test dial-gauge pressure canner lids at the Hyde County Public Library. During the clinics, gaskets (seals) and valves will also be checked. Bring the lid of your presto-type dial-gauge canner. There is no charge for this service. Have questions? Please contact Renee Harvey at 252-946-0111 or renee_harvey@ncsu.edu. • Test Your Dial Gauge Pressure Canner Annually!